Looking for some interesting cannabis culture publications to round out your summer reading list? Look no further! 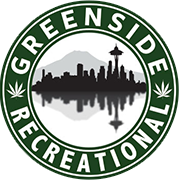 Here at Greenside Recreational in Seattle, we’re huge fans of all things cannabis culture and lifestyle focused, obviously. And nothing beats smoking a nice bowl and relaxing with a good magazine – preferably while stretched out in a hammock. First Seattle issue out this summer! Check out all their issues here. Swing by our recreational marijuana store on Lake City Way, or order online for same day pick up – for the best selection of marijuana strains, edibles, dabbing supplies, vape supplies and more!